Through this project, Buglife worked with local industries and land owners to create a network of green roofs within the industrial area of Grangemouth. In addition to creating green roofs, it was aimed to help people to understand the importance of green roofs for invertebrates and other wildlife, how green roofs can benefit the building, and how they can support local and rare species including Local Biodiversity Action Plan priority species. The project began with an event in 2015 kindly hosted by CalaChem and supported by Angus Macdonald, MSP for Falkirk East (left, welcoming people to the event), to promote the benefits of green roofs to businesses, and answer any concerns that site managers may have regarding suitability and maintenance. A miniature, 'portable' sedum roof model was created and generously donated by green roof specialist Bauder, which provided a small-scale demonstration of what can be achieved. The first green roof was installed at one of Grangemouth's key industrial sites, owned by CalaChem in May 2016 (right). Almost 60 different species of wildflower, herbs and grasses have been planted onto the 143m2 roof at the premises, where they will not only attract a wide range of butterflies, moths, bees, beetles and other invertebrates, but also give staff a boost thanks to the colour and life they will bring to the site. CalaChem has been very supportive of the project, and our thanks go to them for being the first to host a brand new green roof on their site. A second green roof was installed on the newly constructed Carrongrange High school in Grangemouth (below), and was in place for the start of the 2017-18 school year. This roof is accessible to pupils via doors in the first floor classroom. Pathways are wider enough for wheelchairs, there are benches, bug hotels and bird feeding stations. The green roofs will act as a stepping stone for wildlife across Grangemouth, allowing species that rely on green corridors to move and mix. Green roofs also provide a number of benefits to a building itself by improving insulation in the winter and providing cooling in the summer, as well as reducing noise pollution and increasing the lifespan of the roof. So everyone wins! During summer 2018 staff from Buglife and IFLI worked with pupils and teachers from the Carrongrange Gardening Club to weed the green roof and identify and record a range of invertebrates that were seen, this included ladybird larvae and common blue butterfly. The images below show the roof at the end of May 2018. For more information about how green roofs can benefit your building please refer to the attached leaflet to the right. 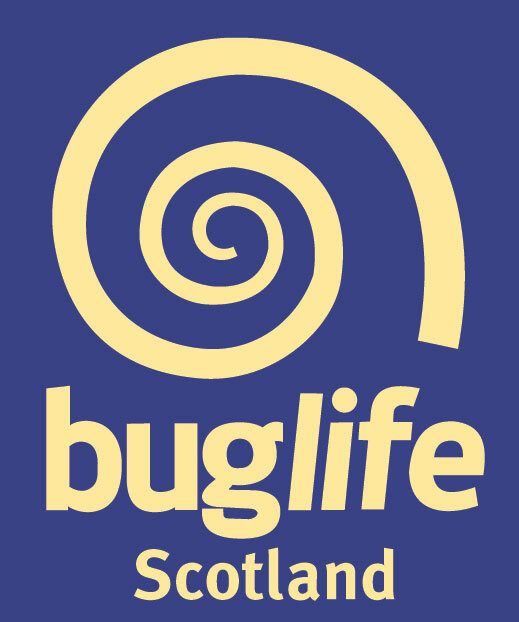 Find out more about Buglife.